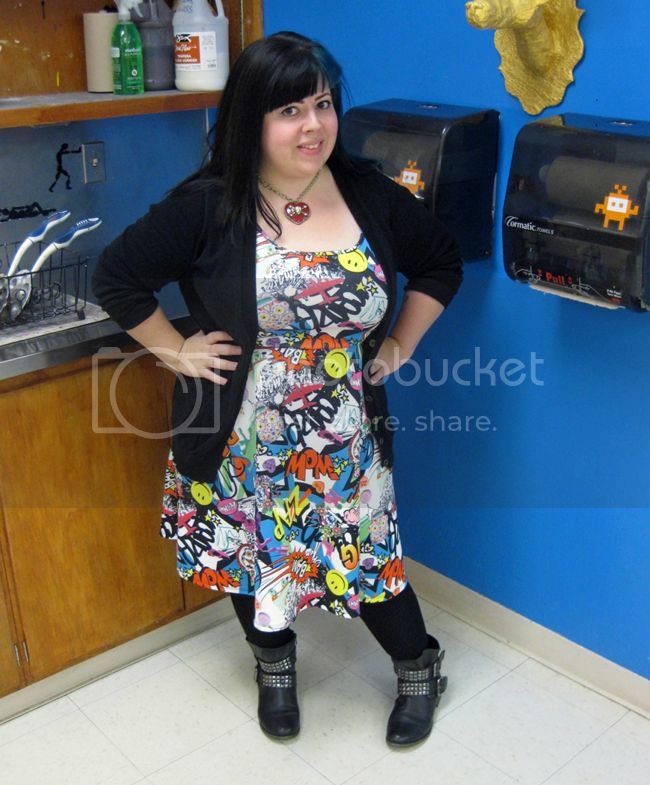 This pop art print dress is one that I spotted via a tumblr re-blog being worn by a stylish curvy lady, and I immediately thought "OMG I'M AN ART TEACHER; THEREFORE, I MUST HAVE A POP ART COMIC PRINT DRESS!" 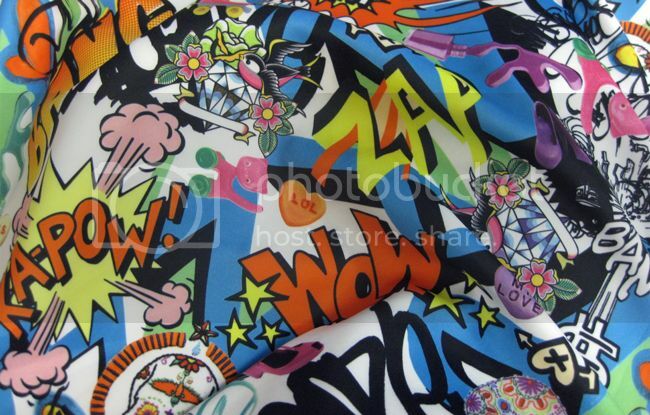 Here's a close-up of this amazingly loud and fantastic print. Bonus: there are skulls. And hey, I have NEW SHOES to share, too! 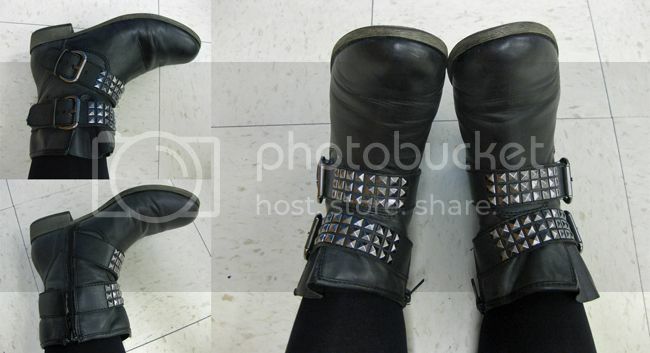 These gorgeous shorty boots are from Target, can you believe it? I saw them online (did you know that there's a TargetStyle Instagram?) so I had a little heads-up to keep an eye out when they showed up in-store, and I purchased them really early in the season, even though it was far too hot to actually wear them until now. I've talked endlessly in the past about my inability to find good boots due to my curvy calves, so do you see the extra room still in these?! Yayy! 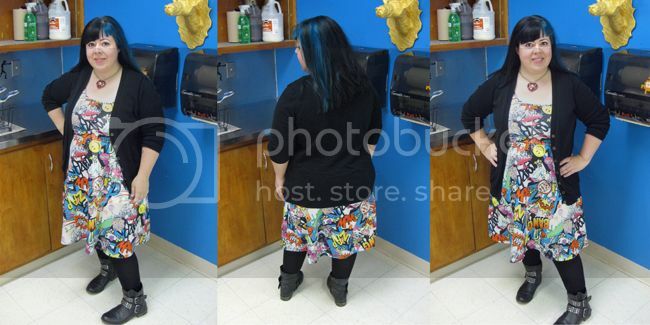 Go buy them now if you have not, curvy-calf ladies - you will not regret it! 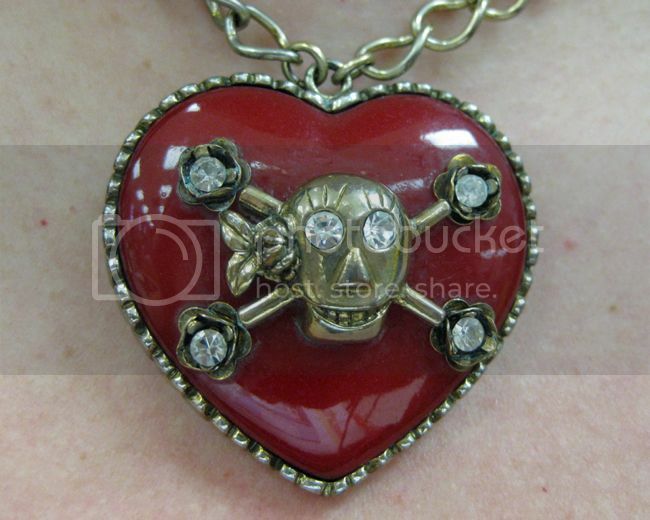 Ever since my jewelry box post, I've been re-discovering and re-wearing my older but totally awesome pieces, like this Betsey Johnson skull and crossbones heart necklace. It was one of my first ever heart-shaped necklaces, and one of my very first Betsey pieces. And I still love it just as much as the first time I saw it! I've also been meaning to mention my new ad/swap service: Adproval! It's like Passionfruit, only not sucky. You can easily swap ads with me for FREE! Click on the swap/sponsor link at the top of the BnB blog, and select "Request Free Ad Swap." Simple! Anyone else switch over to Adproval lately? I'm pretty happy with them, and I'd love to hear your story, too!